Tis the last day of the 2018-2019 ski & snowboarding season. Check the SNOW REPORT as there are four, member ski areas riding for one more today and with Wisp skiing until 5pm, they will officially put a close on this season at that time. It is SNOWING at Snowshoe and Wisp Resort this morning as of 8:24am. Check out the video snow report below: Turn up the volume. Snowshoe Mountain – It is befitting that it is snowing this morning on the last day of the season. They enjoyed 131 days of the best skiing and riding in the region this winter, going back to their Nov. 21 opening day. Temperatures dipped down low enough last night for their grooming team to comb things out for one last morning of glorious corduroy. Wisp Resort – Snowing HARD this morning and they are open with 14 of 34 trails, snow tubing and terrain park fun. They will close at 5pm. Cataloochee Ski Area – Looks quite nice actually for this, there 137th consecutive day of the 2018-2019 ski & snowboarding season. They will close today at 4:30pm for the season. Bryce Resort – It isn’t pretty, but… they are open with 2 slopes for the last day of the season. One green and one blue trail – Little Nip & Bootlegger. 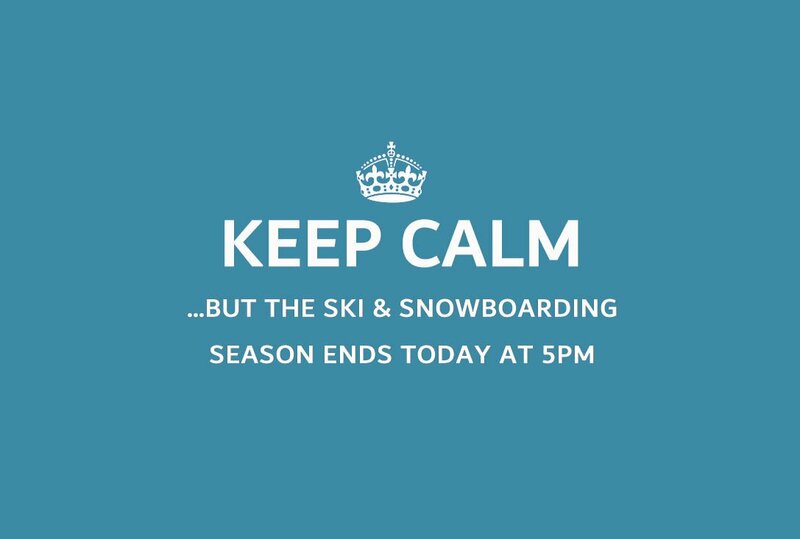 That is IT for the 2018-2019 Ski & Snowboard season here in the Southeast and mid-Atlantic. It’s going to be a summer to remember here at SkiSoutheast, ResortCams and HighCountryVacations. We hope that you will check back periodically as we will be sharing updates on the FirsTrax column at least once every other week throughout the Spring, Summer and Fall. We will also be sharing captures and videos of the week on ResortCams.com and last, but not least we will be posting travel suggestions and business spotlights over on HighCountryVacations.com. Congratulations to All of the Resorts this Season! I think it is safe to say that 14 of the 16 ski areas in the region had REALLY GOOD, to GREAT seasons in terms of skier visits, etc. I don’t think any of the mountain ops or marketing departments would have any issues with me reporting that Appalachian, Beech, Cataloochee, Sapphire and Sugar all had good seasons. I would add that from all of the normal indicators (parking lots, slope traffic from the eye test) Appalachian, Beech Cataloochee and Sugar had great seasons, despite the fact that we had inconsistent cold temps. In fact, I was looking at the archived weather data using Beech Mountain this season and Beech only saw 76 nights (over the 151 days since November 1st) when it was below 32° – where they could make snow. They only had 60 nights below freezing since December 1st (121 days). On the flip-side they had 39 days where the temps were above 50°. So (again) this is yet another example of how great the snowmaking teams are at all of our mountains. Another interesting point – is the fact that all of the resorts (especially those in the slighter milder NC, VA and TN mountains) had great periods of timely snow-making from December 3rd-12th and again from December 21st-27th, when temperatures were in the single digits and low teens that really helped guarantee that the important Christmas-to-New-Year period was a great one. Really all of our resorts had VERY FORTUNATE timing of 3-4 nights in a row of cold, snow-making weather that made the season the success that it was. The Virginia ski resorts all had better-than-average seasons across the board. Wisp undoubtedly had a very nice season and they are now prepping for their always busier-than-winter – summer crowd. They have a huge golf, whitewater and lake fan-base. The West Virginia resorts had a “different” kind of a ski season that usual. They were all sub-par in natural snowfall, but it always looked and seemed snowy up there. Here’s an interesting fact: Although, Snowshoe and Canaan Valley had barely 55% or so of their normal, average, seasonal, natural snowfall – they had natural snow on the ground on 108 of the 151 days since November 1st! How’s THAT for an oddball bit of data?!? So it just FELT like a snowy season and of course every resort in the “Wild & Wonderful” state of West Virginia had great skier visit season unless your resort name is “Timberline”. There’s no question that Canaan Valley Resort was already destined to have a great season, but there’s also no denying that Timberline’s downfall this season made things even better for Canaan Valley Resort this season. Over the years, we’ve had a fair number of readers ask us to continue posting even during the summer months. There actually IS always something to chat about with our resort mountains and communities and we’ve made the commitment to do that this Spring, Summer and Autumn. Look for some of our content writers to share NEWS of what’s happening at the different resorts over the summer…as well as “What’s New for 2019-2020”. We will also be sharing weekly updates over on ResortCams.com as well as HighCountryVacations.com and Kenny Griffin mentioned putting a new bit of look and function to our weather content. We will be sharing more about that as the next few weeks pass. What is HighCountryVacations.com all about? Simply put – we love the mountains; just about any mountain, but specifically the mountains of the Southeast and mid-Atlantic. From Garrett County, Maryland’s Deep Creek Lake area to the Shenandoah Valley and Blue Ridge Mountains of Virginia, and West Virginia to the Great Smoky Mountains and Gatlinburg, Tennessee to the Appalachian Mountain chain and Pisgah National Forest and Cherokee National Forest of North Carolina. We love them all and as residents of the North Carolina mountains and frequent visitors to all the rest, we decided to make it our life-long goal to share many of the local favorite places to visit, stay, play and shop. We hope that you’ll join us in celebrating our beautiful mountains by visiting often and by giving our sponsors your business. ResortCams.com is probably our most notable (and most visited) website year-round as hundreds of television meteorologists show our Live Streaming webcams that we share of many of our favorite mountain communities of the Southeast and mid-Atlantic. You can people watch and even check out the lakes, ski resorts, favorite mountain towns, beaches and more. This season we have already committed our writers to share the best imagery and videos at least weekly throughout the summer and remember that you can also now stay in touch via our Facebook page at https://www.facebook.com/ResortCams/ and we already have 2900+ followers. Come join us! We think you’ll like the shares over there. HighCountryWeather.com is actually (30) weather stations that are located within all of the mountains that SkiSoutheast covers. 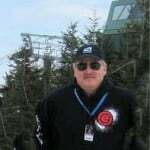 Content is branded to the ski resort communities as we offer SnowshoeWeather.com, WispResortWeather.com, CanaanValleyWeather.com, SugarMountainWeather.com and many more! Previous articleWe Rocked it this Season…Thanks to You!